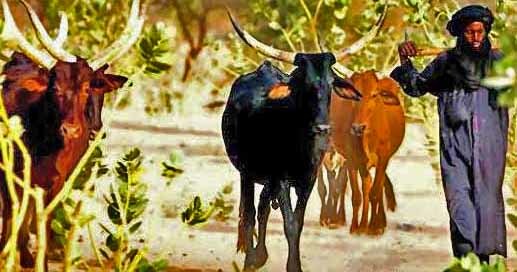 Muslim Fulani herdsmen burn homes, church buildings. JOS, Nigeria (Morning Star News) – Gunmen killed a church pastor and more than 70 other Christians in Plateau state in the past month, sources said. Setting fire to church buildings and houses in attacks that continued this week, Fulani Muslim herdsmen on May 2 killed the Rev. Luka Gwom of the Church of Christ in Nations (COCIN) in the town of Foron, Barkin Ladi Local Government Area (LGA). A member of the slain pastor’s congregation identified only as Paulina was also killed. A Christian community leader in Foron, Ishaku Pam, confirmed the killing of pastor Gwom, whom he said was his pastor, and said Paulina had gotten married in the church two weeks before. Muslim herdsmen also launched attacks on Monday (May 11) in Plateau state’s Riyom LGA, a source told Morning Star News in a text message. Those attacks left seven Christians dead, he said on Thursday (May 14). In the Barkin Ladi LGA, he said a “mass burial” took place in Foron on May 4 for 27 Christians killed on May 2. Another area source confirmed the deaths. “I was at the burial of the Christians killed in the Foron attack, and we counted 27 corpses,” he told Morning Star News. In two other attacks in the area that day, 17 Christians were killed in Vat village, and 13 other Christians were slain in Zakupang, sources said. The victims included women and children. Gyang said on May 7 that Fulani Muslims attacked Rim, in Riyom LGA. The attacks in Riyom and Barkin Ladi appeared to have no connection with Fulani accusations of cattle-rustling by youths from predominantly Christian tribes in Wase LGA, more than 160 miles away, in the past few weeks. A spokesman for the Special Task Force established to check attacks in Plateau State, however, made vague reference to cattle-rustling as the cause of violence in Barkin Ladi, according to Nigerian news reports. On April 25, he reported a prior attack. Five Christians were killed in the attack on Shonong village; one was killed in Torok; two were killed in Kapwen; and two were killed in Rim village, he said. Christians in Barkin Ladi and Riyom have faced increasing attacks from Muslim militants and Muslim Fulani herdsmen in the past decade. Emmanuel Loman, chairman of the Barkin Ladi Local Government Council, confirmed the killings in Barkin Ladi. He called on the Nigerian government to take urgent security measures to curtail attacks by the herdsmen. 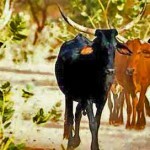 Muslim herdsmen have long attacked settled Christian farmers in Plateau, Bauchi, Kaduna, Taraba and Adamawa states, but in the past year analysts have begun to see some ties between the assailants and Islamic extremist groups keen to exploit longstanding ethnic, property and religious conflicts. Church leaders say attacks on Christian communities by the herdsmen constitute a war “by Islam to eliminate Christianity” in Nigeria. Christians make up 51.3 percent of Nigeria’s population of 158.2 million, while Muslims account for 45 percent and live mainly in the north. Ethnic Fulani gunmen shouting the jihadist chant “Allahu Akbar” attacked three villages in Nigeria’s Plateau state in September, burning down a church building and killing at least 10 Christians.